You may pay any traffic fine using any of the following payment options. You may dispute the alleged violation on the Parking Violation Notice within 14 days of the date on the traffic notice. To dispute a ticket online, login to your parking account using your CWL login and password. You may hand deliver or mail a written dispute to Parking Services. Hand delivered and mailed disputes must be received before the 14th day of the date on the traffic notice. Your dispute must contain your return address, e-mail address, a copy of the Traffic Notice and written detail of your rationale for disputing the alleged violation. Your submission will be reviewed by a Hearing Officer, who will advise you by e-mail the outcome of your dispute. Your dispute resolution will also contain instructions on how to appeal the Hearing Officer’s ruling should you so wish. If you choose to appeal the results of your dispute, you will not be allowed to present any new or additional information from your original dispute filing. Vehicles in Violation of the Board of Governor’s UBC Traffic and Parking Rules will receive a Traffic Notice. Once a third outstanding Traffic Notice has been recorded, the vehicle may be immobilized or towed. The majority of citations are $60 and if paid within 14 days, which includes the day you receive the fine, your citation is discounted by 50%, ie: $30. It is the responsibility of the person paying the citation to have it paid on or before the 14 day mark in order to receive the 50% discount. If paying by mail this means that you must account for the time that it takes to reach the Parking Services office. Payment must be received in hand by the Parking Services office on or before the 14 day mark. If you dispute a citation within 14 days of receipt, and the citation is upheld, the 14 day process for payment will begin on the date of the Hearing Officer’s ruling. 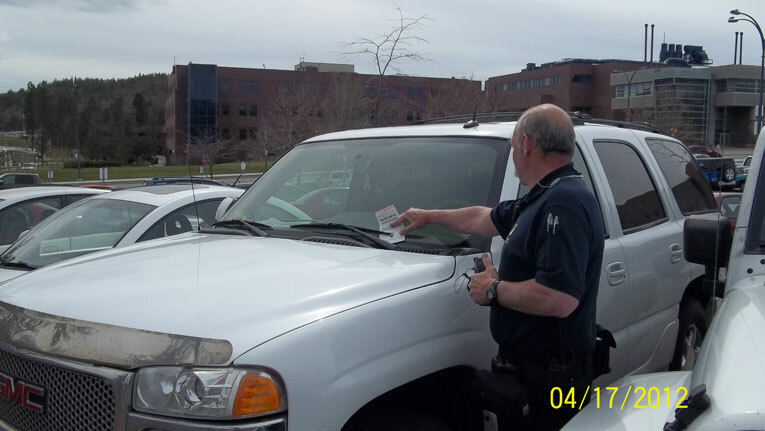 Violations remaining unpaid and undisputed may result in a vehicle being immobilized, removed from campus or the driver’s student account being placed on hold. For any further questions or clarifications, please refer to the University Counsel Website, Policy 67, or the UBC Traffic and Parking Rules as approved by the UBC Board of Governors, November 26, 2013. All vehicles towed will be reported to the Parking Services office (123 Kalamalka, 250 807-8554) and at the Security office (Admin Bldg, 250 807-9236).